LOS ANGELES -- The redesigned Jeep Wrangler may look strikingly similar to its immediate predecessor, but above the skid plates and beneath the removable top, longtime fans of the iconic off-roader will notice the upgrades incorporated into the first Wrangler redesign since 2006. The Wrangler, Jeep's No. 2 seller in the U.S. after the Grand Cherokee, captures some of the most loyal and passionate owners in the auto industry. Fiat Chrysler Automobiles has been deliberate in redesigning and re-engineering everything on the venerable SUV. All of Wrangler's engines will now come standard with stop-start technology, including its base 285-hp, 3.6-liter V-6 that will make 260 pound-feet of torque. A 260-hp, 3.0-liter V-6 diesel making 442 pound-feet of torque, which won't arrive until 2019 as FCA continues its ongoing legal wrangling with federal regulators over allegations of diesel emissions violations. A turbocharged 270-hp, 2.0-liter I-4 engine producing 295 pound-feet of torque. 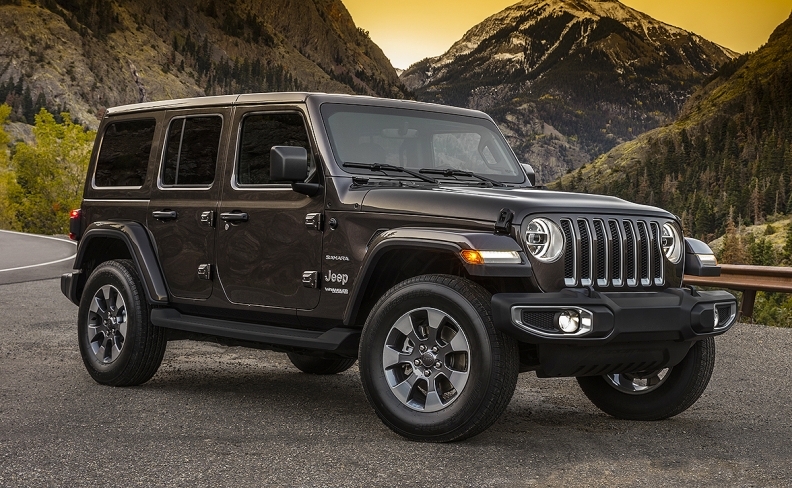 So far, fuel economy ratings have been revealed only for the four-door Wrangler Unlimited models, which earned miles per gallon ratings of 18 city/23 highway/20 combined with the eight-speed automatic, and 17 city/23 highway/19 combined with the six-speed manual transmission.